Imprestige | Ever Wanted to Find Differences Between Two Excel Workbooks? 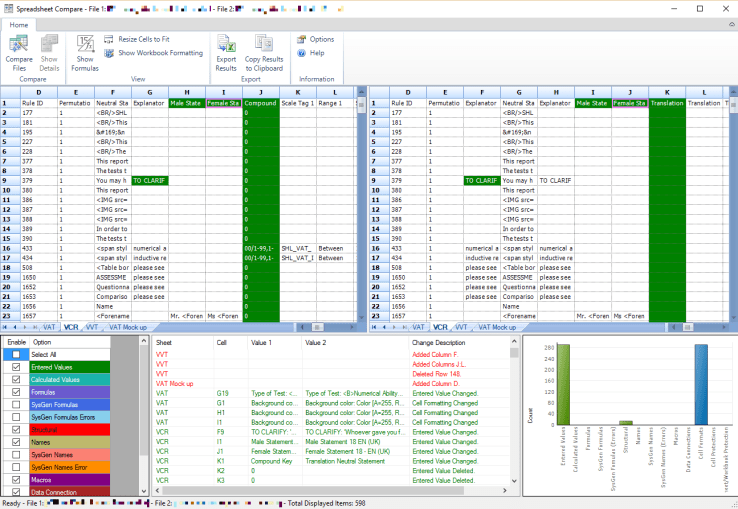 You may have a perfect life and be never worried about such things, but I face the challenge of telling the differences between two Excel workbooks quite often. Until now I had no real tool to do this, and it was clear developing a macro or other tool is far beyond reality. But today I got so amazed to see Microsoft Office includes a tool called the Inquire add-on, since version 2013, enabling you to get a detailed comparison report on the differences of two worbooks. I visited the official documentation and it’s that easy that I wouldn’ waste my time trying to write an even simpler summary, nor yours to read redundant information, so if you ever want to compare two workbooks, and you have Microsoft Office 365 or Office Professional Plus 2013/2016, just go ahead to know What you can do with Spreadsheet Inquire.